Scholarships are available for parents and family members. Hasan Davis knows what it’s like to struggle. With an early diagnosis of ADHD and Dyslexia Hasan was arrested at age 11. In Hasan’s childhood, the world seemed intent on confirming his life to be a sad, pitiful and short affair. After attending five different elementary schools, Hasan was enrolled in an alternative school. He was expelled his senior year. But, an unlikely team of courageous advocates including his mother, Alice Lovelace, and the alternative school administrator and his mentor, Dr. Lorrain Wilson, invested unwavering and unconditional faith in his ability to be more. Hasan found the courage to persist. With the encouragement of these Hope Dealers Hasan decided to risk the life he was barely surviving for a shot at a life he could hardly imagine. Earning a GED, a B.A. in Communications and his Law Degree, Hasan has gone on to become a national leader in Juvenile Justice and a champion of inclusive education. Thanks to the tireless efforts of Hope Dealers, like you, Hasan was not written off. Now Hasan travels the world sharing his inspiring story of transformation, hoping to inspire other Hope Dealers in their selfless service to others. Hasan Davis will share his journey through the education, justice and social service systems. Systems that often failed to provide him the support he needed to be successful. Hasan was lucky to find that on his journey there were, within each system, outliers and resisters who found a way to engage, encourage and empower him. With their support, he transcended his mounting list of “failures” to become an strong self-advocate and eventually a champion for others facing difficulties. Hasan believes that each person in the community has the opportunity, and the responsibility, to influence and change the way youth encounter the education, justice and social service systems. Hasan will share the simple strategies his personal champions employed to help him complete the “JD shuffle” and go from Hasan Davis Juvenile Delinquent to Hasan Davis Juris Doctor. Dan Habib, award-winning filmmaker, will join us at 3 pm for a showing of his new documentary Intelligent Lives with a panel discussion to follow. 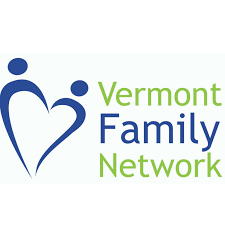 If you have any questions about this event which is free and open to the public, please contact the host, the Vermont Center on Disability and Community Inclusion.